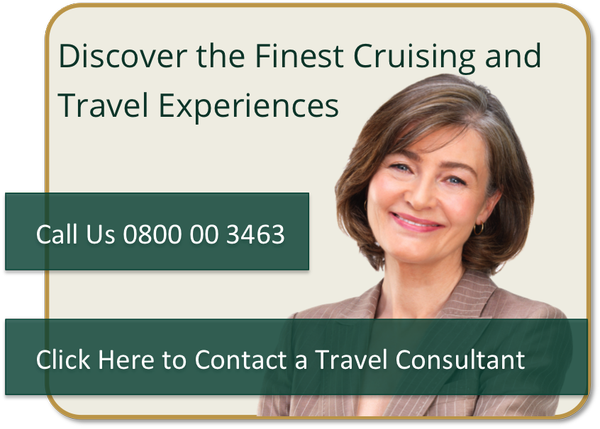 A Cunard cruise, aboard the Queen Mary 2, the Queen Elizabeth or the Queen Victoria is a classic ocean voyage in the grandest traditions of luxury cruises. For over 160 years, Cunard has worked to make the art of cruising indistinguishable from the art of living well. Aboard the five-star vessels, and in unique adventures ashore, music and painting is blended with cuisine and conversation, invigorating walks with reading and relaxation, explorations of historic landmarks with the spectacle and purity of nature. This is the Cunard legacy: timeless elegance, incomparable service, intriguing destinations and, quite simply, a cultured experience. If travel is meant to be savoured, then crossing the oceans should be a majestic experience, not merely a “hop across the pond”. For travellers of this persuasion, only one name evokes the pleasures of a golden era. That name is Cunard Line. The grand tradition of the classic ocean voyage is very much alive aboard these luxury liners. And where once legends strolled the promenade, today so can you, proving that true luxury belongs to no particular era. To travel on one of the Cunard ships today is to experience a part of that heritage and return to an era of unabashed opulence from the golden age of ocean travel. Imagine it. Across the oceans, in the lap of luxury to fabled cities and idyllic islands on a voyage bound only for pleasure. All guests receive the highest level of service, but choose to stay in a Queens Grill or Princess Grill Suites and you’ll enjoy an unsurpassed level of luxury. With everyone taking care of your needs, from the on board concierge to the Queens Grill personal butler – the Grills Experience is unforgettable. As well as deluxe accommodation and personal service, you’ll have access to the Grills restaurants, offering the most exquisite cuisine available. Excursions, spa treatments, special requests – everything can be arranged just for you. The Grills Experience is one of the most luxurious ways to travel.